Small businesses should not disregard the power of having a physical presence in the real world. In this regard, physical promotional items have an important role to play and, of these, branded carrier bags are understood by marketing experts to be an exceedingly effective marketing tool. Building these into a marketing strategy is a cheaper option, than advertisement campaigns, celebrity endorsements and the like, while the fact that people simply cannot live without bags attests to their reusability, ensuring that your marketing campaign has a long reach. 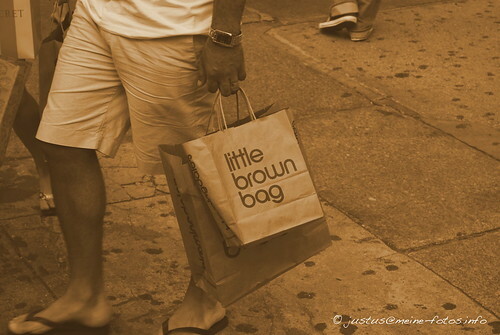 Everyone needs cheap bags to carry shopping and the like to and from town. However, with the current concerns over the amount of damage we are doing to the environment, plastic bags are either being phased out or consumers are charged for them, in order to gently persuade them to use alternatives. By comparison, promotional bags are more durable – something that is important for brand perception – and being made from environmentally friendly materials, consumers are likely to choose your bag over other options. And, furthermore, building an eco element into your brand can only be beneficial in the current climate. Carrier bags offer prime advertising space. You can express the specificities of your brand in any way you see fit with text, bright colours and pictures working naturally on their surfaces, whatever the size. And, while these bags are often filled with other items of branded products, which will be more expensive, at expos, festivals, charity fundraising events and so on, the bag itself will be the most visible item, meaning that it is one of the most cost-effective methods of physical marketing out there. A walk around the many shops that make up the typical British high street reveals how much effort marketers put into the packaging of products, since this is well known to improve branding and get people to open their wallets. However, in most cases consumers will rip this important element apart as soon as they get home, meaning that branded packaging has a short shelf life. Carrier bags, in contrast, will be used again and again and, while they will end up simply being a convenient way to lug their possessions around town, the carrier may very well become attached to the bag itself and build a strong personal relationship with the brand, establishing loyalty. And, beyond this, they will become unwitting advertisers for you as they carry this bag wherever they go. As you can see, there is real power in the simple plastic bag and it is very easy to buy your printed carrier bag today from companies online, who can offer expert guidance in their design. Considering the cost-effectiveness of these simple items and the way they can make your business the first on anybody’s lips gives this form of advertising real reach and, as such, they should be an important element of any marketing strategy. Mark Scott is the CEO of an internationally renowned company. He is also a public speaker and experienced trainer of executives in a variety of business fields, with a focus on team building and relational leadership styles. His articles on business technology have been published on more than 100 high profile technology forums and business sites, and his own network of blogs is routinely syndicated for use by some of the nation’s most trusted technology advice pages. He lives and works in London.